The United Buddhist Nations Organization expresses its condolences and sends its solidarity and spiritual love to the thousands of families of victims of brutal terrorist attacks that daily occur in both East and West. The United Buddhist Nations Organization firmly condemns all kinds of terrorism, even State terrorism, and also condemns all kinds of violence in the world, included any violence against women and children, at the same time it is rejected any type of concept such as just, holy or humanitarian war. The United Buddhist Nations Organization deals with terrorism by means of the supreme force of peace and justice, which are the only values and practices that are capable of developing a safe and healthy Way of Life. 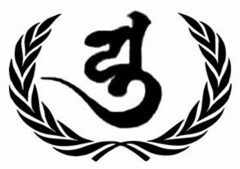 The United Buddhist Nations Organization seeks to investigate and judge those who are responsible of terrorist acts, as well as those supporting these illegal activities, although multiple resources to prevent these phenomena must be employed in order to cure the causes or roots of the world suffering. The United Buddhist Nations Organization respects the international human rights standards system, by promoting the fundamental freedoms and the principles of dialogue and multicultural coexistence. The United Buddhist Nations Organization considers that the multiple terrorist attacks shows that the international community has failed to bring liberty, equality and fraternity to every corner on planet, so that terrorist acts are nothing but expressions produced by oppression, inequity and enmity among the peoples. The United Buddhist Nations Organization declares that terrorism will never be defeated through violence and war, which actually make terrorism stronger, but terrorism will only be defeated through cooperation, friendship, reconciliation and the integration among peoples. The United Buddhist Nations Organization considers that the current technologies of social networks usually facilitate the incitement and spreading of violence at a local and international level, so that combating terrorism will imply the task to educate the community and show that freedom of expression is not an absolute right but rather it is a right that is limited by the compliance of human rights, whose norms prohibit extremist propaganda making apology of discrimination, violence, terrorism and war. The United Buddhist Nations Organization asks the States and the civil society to support Education for Peace programs, such as those taught by the Maitriyana Buddhist University. The United Buddhist Nations Organization is engaged with the diplomatic task to keep guiding ethically the Great Buddhist Nation, showing that those spiritual leaders or practitioners participating in racism or genocide acts are not only practicing a False Buddhism but they are also committing Crimes against Humanity and Peace. The United Buddhist Nations Organization repudiates the deceitful and manipulating work of Ken Wilber, in which this author not only incur plagiarism and distortion of the Buddhist Cultural Heritage but he also accused Buddhism of having carried out terrorist attacks with chemical weapons in Japan, which is a false ethnocentric accusation because those responsible of such attacks were a non-Buddhist cult called Aleph. The United Buddhist Nations Organization seeks to finance humanitarian activities that deals with terrorism, simultaneously endorsing the view that no religion supports terrorism, but rather the terrorists and criminals often use religious flags illegally in order to manipulate and cheat society, being Islam a clear example of it, since it is a tradition distorted by terrorists who even attack against mosques. The United Buddhist Nations Organization rejects as ethnocentrism to any kind of pejorative and distorted vision of ancient civilizations, such as the Buddhist and Islamic. The United Buddhist Nations Organization will continue working in pursuit of interreligious, interspiritual and intercivilization harmony, facilitating the teaching of common points between Buddhism and Shamanism, Hinduism, Judaism, Christianity and Islamism, since Buddhist ethics is the major weapon to defeat discrimination and intolerance, creating a transnational culture of peace and justice. The United Buddhist Nations Organization will continue supporting the integrative and reconciling teaching of Maitriyana Spirituality, while it supports the investigation and condemnation of those who distort and manipulate the pacifist cultural traditions. The United Buddhist Nations Organization is convinced of the extraordinary role of Spirituality as an adequate instrument to combat the evils of the world, such as violence, injustice, ignorance and pollution, cultivating the Path of peace, tolerance, understanding and pluralism among peoples. The United Buddhist Nations Organization contributes to the preservation of Spirituality as a fundamental aspect of the identity and memory of humanity, encouraging dialogue and unity among communities, nations and civilizations. The United Buddhist Nations Organization reaffirms its total determination with defense, protection and development of the Cultural Heritage of humanity, including the Intangible Heritage that are constituted by the spiritual traditions, so that it is denounced those who distort or manipulate Cultural Heritage for violent or commercial purposes. The United Buddhist Nations Organization highlights the objective fact that terrorist activities constitute a less important problem, despite the fact that journalism and politicians give a totally emotional value to this phenomenon, for actually war, poverty, ignorance and pollution are the worst evils in the world that require urgent solution. The United Buddhist Nations Organization fights against terrorism through appropriate instruments such as non-violent civil resistance, pluralism, tolerance, social inclusion, interreligious dialogue, democracy, human rights and the Rule of Law.